Source: Purchased/Blogging for Books – I received this book in exchange for an honest review. Armada was another book I read along with my boyfriend. We loved Ready Player One a lot, all of the nostalgia and geeky references were just perfect for us. So we marked our calendars, bought the book the day it came out…and promptly decided to read something else. Wah wah. However, poor planning aside when we finally decided to start it was really hard to keep pace with each other and not read the entire thing in one go. Like RPO Armada starts out as a slow build and ramps up to a break neck speed by the last 70% of the book, with a few little slowly moments here and there to give you a breather, or the illusion of one. It took a lot of twists and turns, many of which I wasn’t fully expecting and made the whole ride a lot of fun. I’ve seen complaints about the book lacking true description because of the use of references, and all I have to say is…if you don’t enjoy movie/game/tv/music references in your books then sit it out. I didn’t get 100% of the references but there was enough to go on in the context that I knew exactly what the author was trying to say. The action is on point and has a ton of moments where any video game nerd wanting to put on a VR helmet and pilot a badass piece of tech (though maybe not in a real life situation like this). And I think that’s one of the best things about Cline’s books, he makes you want to revisit your past while also making you excited for all the cool stuff the future holds. It’s a brilliant mix. Zack Lightman is a gamer, and a very good one at that. He’s full of references from his favorite movies, games and music…and he is pretty damn brave as well, though he can definitely push forward into the “dear god don’t do that” character mold too. I really liked Zack. I like how close he is with his mom (yay for YA parent who actually exist!) and his love of all things geeks, and the fact that he’s not afraid to stand up for himself and others (though the anger probably needs to be stunted). In fact I really like what Cline did with all of the characters and it’s a pretty diverse group. We have several different races, plenty of different backgrounds, different religious beliefs, all uniting for a common cause. I loved the dynamic between the general, Shin, and Graham… and I really loved the closeness of Debbie and her family. Overall it’s an awesome book! 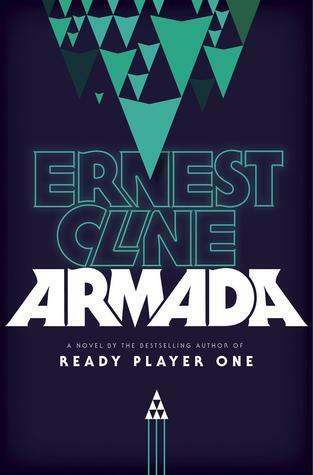 I probably enjoyed Ready Player One more, just because I’m a riddle fiend and really love RPG MMOs more than would be considered healthy, but Armada was an incredibly fun read that I barely put down (even when I was supposed to). 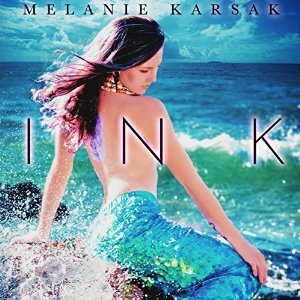 Image | This entry was posted in Book Reviews (2015) and tagged 4.5 Stars, review, sci-fi, young adult. Bookmark the permalink. Agreed. I loved RPO much more than Armada, but I did like Armada. If nothing else, it was a great primer on all the science fiction movies that are must-watch. Glad you liked it! I got a copy from blogging for books too, just have to find the time to read it! Yippee, this one sounds like so much fun Michelle! I’m really looking forward to reading it, I got it out from the library. Although it’s jam packed with pop culture references, that’s probably the best thing about it! I’m not sure if these book is for me or not as I’m not a gamer but I do love pop culture references. I wasn’t sure if I’d like Ready Player One either and I ended up loving it. So maybe!